Sunshine Coast International Readers and Writers Festival (SCIRWF) invited me to present two children’s author events on Sunday 13 August, 2017. WOOHOO! I’m absolutely thrilled. 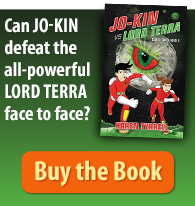 Amazon released The Battle of Bug World (Song Bird 2), empowering children’s eco fantasy. Amazon released my book across the globe, in every continent. It’s now available in print and eBook. Three friends: one bullied, one disabled, one geek … battle cyclones and bullies to save the bees, the environment … and Rosie’s sister. Announcing winners Song Bird Superhero book giveaway. Song Bird is a humorous book about a bullied girl who overcomes bullying through self-belief, singing and science. 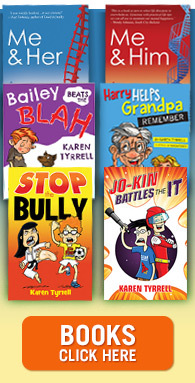 Song Bird Superhero is written by award winning author Karen Tyrrell. Woohoo! Songbird Superhero, children’s book will tour Sydney in October. 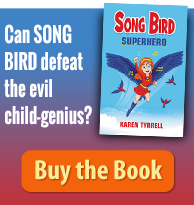 Song Bird Superhero is a humorous adventure story about a bullied girl, Rosella Ava Bird. Rosie gains her super powers from humor, self-belief, singing and science. Can she defeat the evil boy-genius Frank Furter?